Ever wondered how to avoid a major headache every time your partner’s birthday is coming up? Operation ‘Amazon Break In’ is meant just for this! Let’s be honest here, we are all guilty of browsing for our future tech gadgets, books and hard-to-find Korean beauty remedies on Amazon – they track most wished for items on a global scale here (it’s pretty fascinating). There are some eye-opening insights you can gain about a person by taking a peek inside their Wish Lists and Baskets – it’s one of the best inspirational gift tools available. Caution is advisable, of course, as is common sense, but generally it’s pretty easy to get permission to login to your family’s/boyfriend’s Amazon account (“My Amazon login has failed, can you please check yours is working, need to get something urgently.” – works 90% of the time). I call it an “Operation” not because I’ve watched too many criminal TV series recently (guilty as charged! ), but because the tricky part comes after you discover what they are dreaming to buy. Firstly, you have to make sure the gift still looks like you may have guessed it yourself. And secondly, it should never be exactly the same, as what they have chosen (unless it’s an iPad, don’t even bother convincing them that Galaxy is better). Not all items will make the cut. My Wish List, for example, has Gilette blades and a Marketing textbook – both items would hardly make me excited if I find them under the Christmas tree :). Do some prep work by thinking about what your partner could possible want as a gift. My boyfriend has been passionate about quality music recently, so I figured he would soon start thinking about improving his listening experience. Headphones was the most logical guess. We browsed something on Amazon together one particularly lazy midweek evening, so I sneakily cross-checked my guess with his Amazon Basket – headphones were right there…Bingo! And so my quest for quality headphones begun. 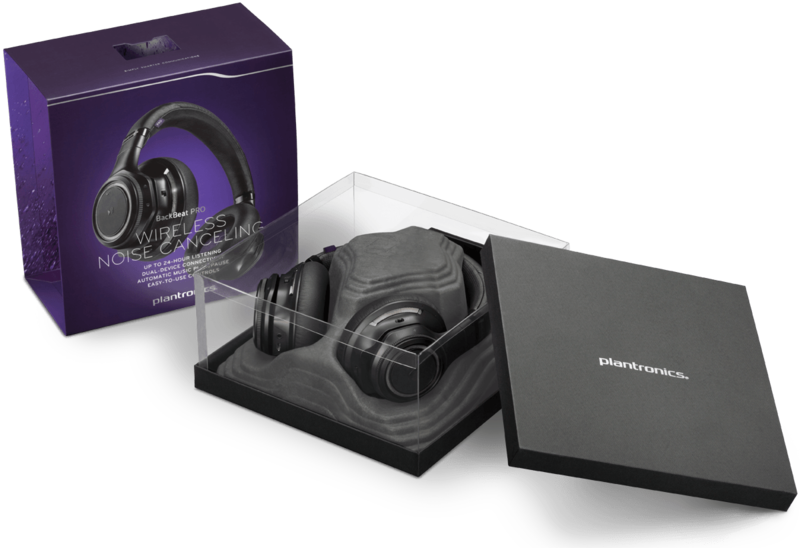 After figuring out what sound distortion ratio meant and why Bluetooth was generally considered better than Wi-Fi for wireless headphones, I selected this wonderful piece of advance technology from Plantronics. Yes, Bose and Sennheiser were better known, but it also meant that they were charging significantly more for the same quality. 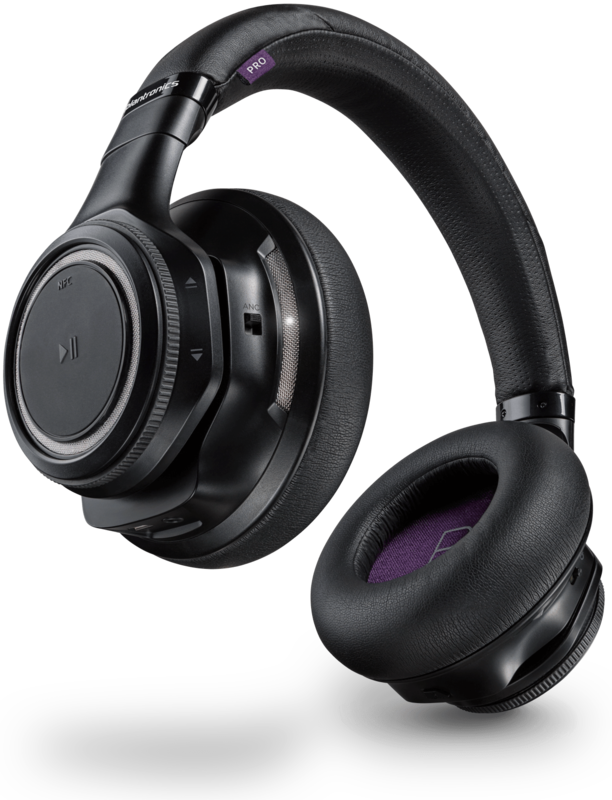 But more than anything, by selecting a more niche brand that he wouldn’t have picked himself, I successfully tricked him into thinking it was completely my idea: choosing quality over brand name and being a bit riskier with design is more me, than just going to a Bose store and getting their latest release. Oh, that’s simple – just go for it! It is one massive stereotype that men’s gift packaging has to be navy or black, with silver or black (again!) ribbons. Conservative colours should be left to corporate gifts, so for personal presents try to always express yourself. 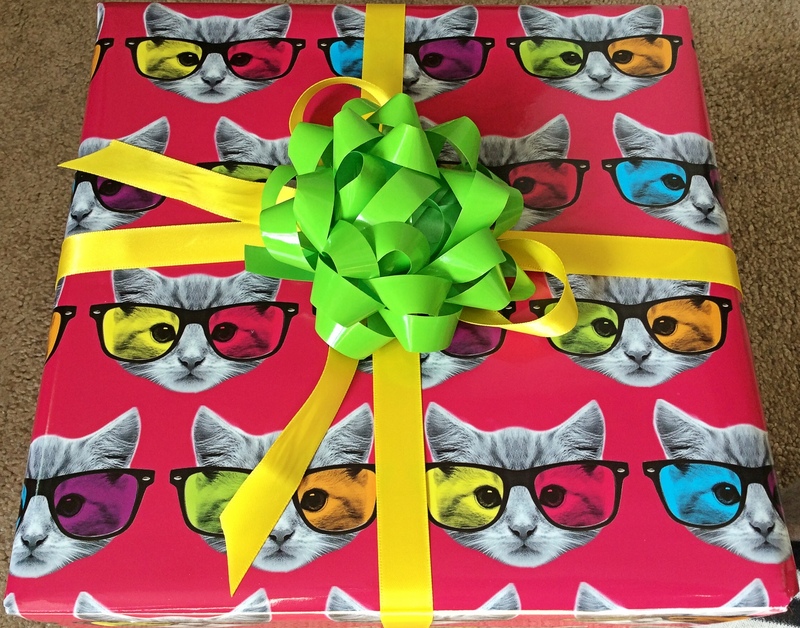 I’m particularly proud of this one: we both like sending each other cat GIFs to convey an emotion or to lighten up a particularly stressful day at the office, so this wrapping paper from Paperchase was spot on. And before you say anything – yes, it’s bright pink, and it’s awesome. What’s on your Wish Lists? Would you be OK if our partner had a sneaky peek?